Meet the person who is behind all what LUXUR is about: Melanie Ramone, our CXO, senior wedding designer and planner. She is the one managing all accounts and client experience. 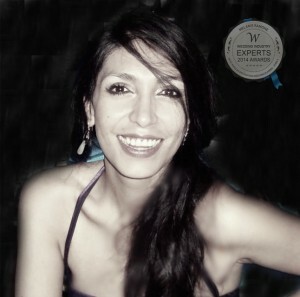 Melanie is a Fashion Designer and Image Consultant graduate in Milan, Italy with an MBA on Luxury Brand Management and special event management, also in Milan, Italy. She started working in events while living in Italy focused on luxury brands and the promotion of them. Then she started working as a free lancer with many event management companies that focused on destination events. At the same time, while in Milan, she had her own image consulting and personal shopper atelier. After a couple of years she decided to combine both passions of destination events and image consulting and started offering wedding consulting services for foreigners wanting to get married in Italy. Melanie was one of the first wedding planners in Italy and soon ranking on the top wedding planners in Italy. She started as wedding planner for incoming destination weddings in Italy, now also managing the headquarters in Mexico. I’m Melanie Ramone and with a bunch of dreams I created LUXUR WEDDINGS with hope and enthusiasm, like everything I do. I believe in love, in true lasting love and nothing makes me happier that being part of an amazing journey like planning the wedding of couples who are deeply in love. I love working creatively with your ideas, desires, vision, personal story and then combine all that into creating a one-of-a-kind experience through the planning process and wow you not only on your wedding day but also during the planning process. Melanie has over 10 years working in events and weddings mixed with tourism and all regarding destination management. She does private consulting and coaching for new entrepreneurs that want to start their own business in event, wedding, tourism and image consulting. She still plans and manages events and weddings all around the globe.